The National Science Foundation has awarded a major grant designed to boost doctoral degree program enrollment in the traditional STEM disciplines (science, technology, engineering and mathematics). 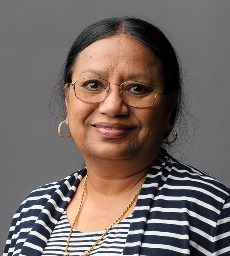 Dr. Malathi Srivatsan, director of the molecular biosciences Ph.D. program and assistant director of Arkansas Biosciences Institute, is the principle investigator (PI). Titled “Bridging the Divide: A Program to Broaden Participation in STEM Ph.D.,” the project was funded at $749,964 over five years. 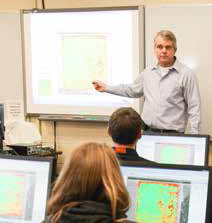 Congratulations to Dr. Keith Morris, associate professor, and the College of Agriculture and Technology’s spatial technologies program, which are featured in the spring issue of Ag Leader Insights magazine. Morris was cited for his utilization of Ag Leader’s Educational Solutions Program, which gives A-State students an advantage when preparing for career opportunities in precision farming. The article is available here, pages 8-11. As the semester winds to a close, we have opportunities to salute some of our most outstanding students this week. Multicultural Center hosts a reception for graduating students Thursday at 4:30 p.m.; ROTC officer commissioning is Friday at 3 p.m. in the Convocation Center; Honors College Recognition will start Friday at 5 p.m. in the Cooper Alumni Center, with the Honors Professor of the Year to be announced. These events precede Commencement, with ceremonies at 10 a.m. and 2:30 p.m. Saturday in the Convocation Center. The calendar has details. Kimberly Morris, administrative specialist in the Department of History, is making good use of her writing skill and her BA in English from A-State. She is working on a sequel to her first book, Tears I Shed, which traces the major life challenges encountered by the central character. Kayla deals with the sudden loss of her husband and son, then a surprise revelation about his prior marital betrayal and the challenge of coping with the discovery of his second family. Her poetry, including “Raising Sons,” also has been published. 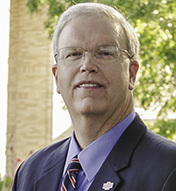 Dr. Russ Hannah, associate vice chancellor for finance, will serve as 2014-2015 chair of the Southern Association of College and University Business Officers’ (SACUBO) Comprehensive Colleges Committee. In this role, he will develop and coordinate the committee’s annual plan for representing professional interests and issues. The chair also works with the National Association of College and University Business Officers’ (NACUBO) Member Relations Council and serves on the SACUBO board. Three faculty members in the College of Media and Communication were recognized by their peers during Convocation of Scholars with achievement awards patterned after the university’s recognition program, according to Dr. Brad Rawlins, dean. Those cited and their awards were Dr. Mary Jackson Pitts, outstanding teaching; Dr. Po-Lin Pan, outstanding research; and Dr. Mike Bowman, outstanding professional service.